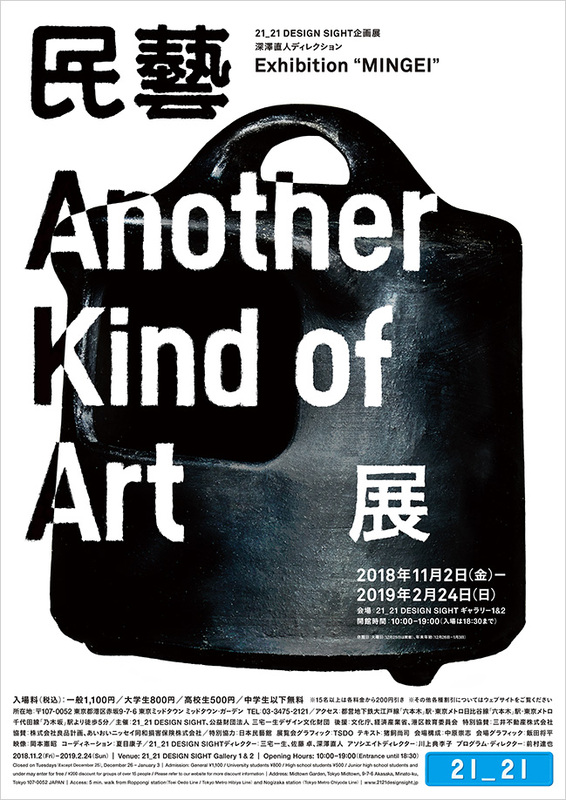 This exhibition features 146 traditional and contemporary Mingei items from The Japan Folk Crafts Museum’s collection selected by its director, Naoto Fukasawa. They are displayed along with straightforward statements by Fukasawa regarding their appeals. In addition, we introduce the faces of Mingei in today’s society through a film capturing the lives and work of the creators of Mingei and the people who promote it. Naoto Fukasawa’s personal collection, and photographs revealing new forms of Mingei are also on display. In 1925, Soetsu Yanagi (1889 – 1961) first named handicrafts made by anonymous craftspeople “Mingei,” as he recognized the beauty in these everyday items used by common people.